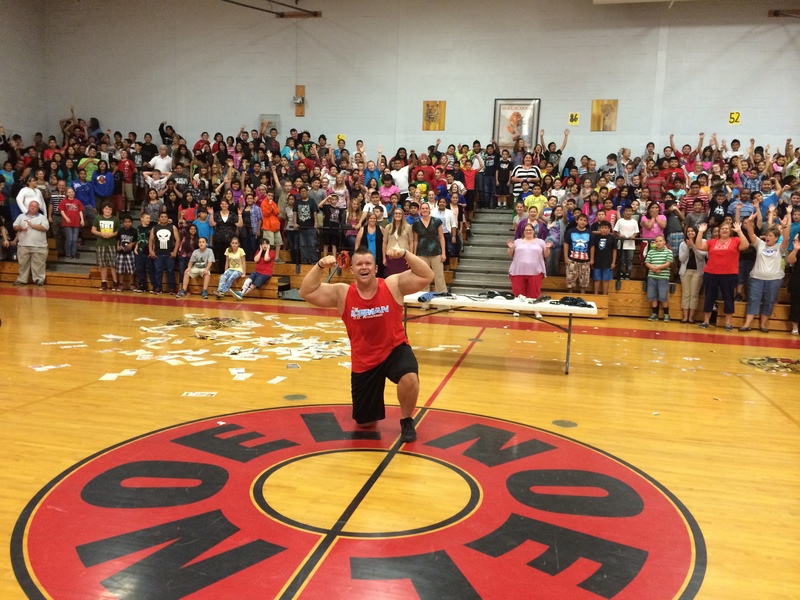 JD Anderson is one of the countries top motivational speakers and strongman acts for schools, churches, festivals and events across the country! He can provide an unbelievable show packed with stunts using baseball bats, licenses plates and of course ICE! See below for different package options! 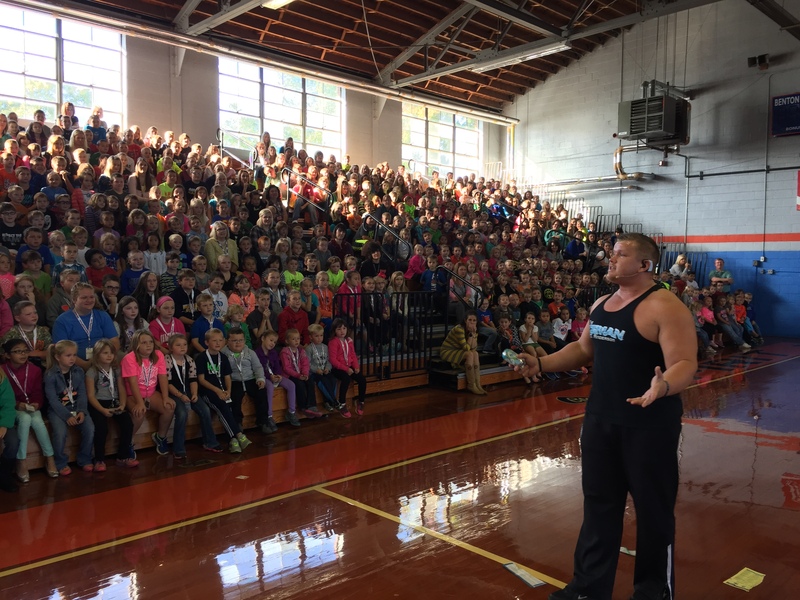 School Assemblies like you’ve never seen before! JD brings nothing but pure excitement and entertainment to your student body. He grasps their attention in ways you never could have imagined. This one of a kind performance not only entertains, but educates as well in a wide range of categories. JD will work with you and your administration to deliver a message that is perfect for your students. 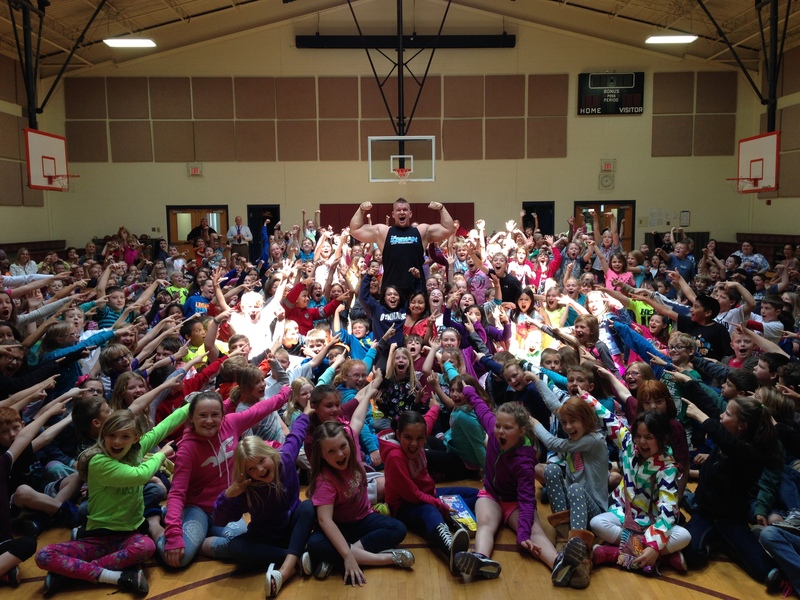 Assemblies for elementary, middle and high schools! Are you looking for something different? Does your child love superheroes such as Spiderman, Superman, or even the Incredible Hulk? Look no further then to bring a real-life superhero to your son or daughter's birthday party to demonstrate razee deeds of strength that your child will never forget. They call him The Iceman. If you are looking for something different and unusual, book JD Anderson today! 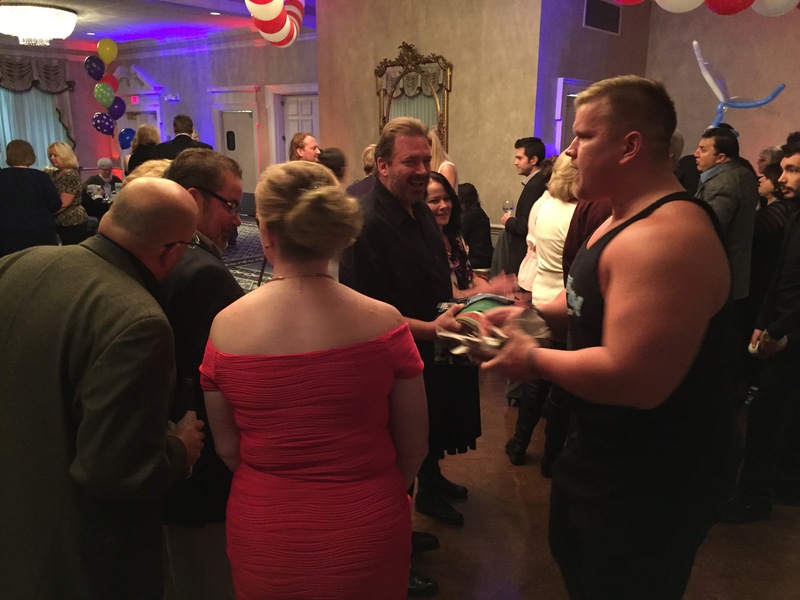 He is not just your typical strong man, he has traveled around the world with a Guinness world record holding magician and knows a few tricks of his own. Dates are limited due to his busy tour dates but give your child the best birthday present he or she can imagine and book JD the Iceman today! Do you need a strolling entertainer for your party? Are you tired of the ordinary entertainment such as jugglers, caricature artists, psychics, etc? Well you've came to the right place. Boost up your event with a little extra POWER! 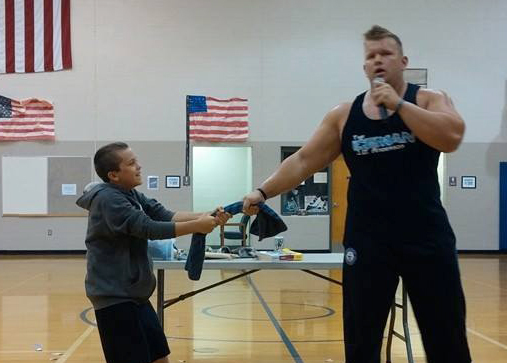 JD Anderson will walk around at your event doing small feats of strength that your guests will never forget. He is just what you need to break up the monotony he and give your guests that burst of energy you are looking for. JD will bring a church service to you that is everything but traditional. JD Anderson has traveled around the world and shared the stage with some of the biggest Christian artists including, Kerry Jobe and David Crowder! 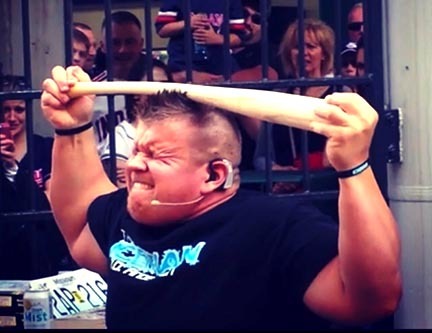 Displaying amazing feats of strength, JD will draw a crowd that would not normally step foot in your doors. You already know your normal church members will come to the event, but this is a way to draw people from outside of the church to come in and hear a message that could change their life forever. When people hear that someone will be breaking bricks with their head while they're on fire, breaking baseball bats over there spine, and ripping license plates in their teeth, they will want to come see what it's all about. What a perfect opportunity to win souls to the kingdom with this extraordinarily unique performance. View Photos from the Road!